The ETC Simplified Falling Head Permeameter Kit is based on the device and methodology outlined in the Nova Scotia Onsite Technical Guidelines. ETC has prepared a user-friendly kit and guide which can be used in the field, or in the lab. 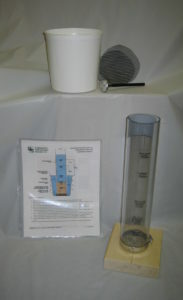 The ETC Pask Permeameter is constant head well permeameter designed and manufactured by Dynamic Monitors. 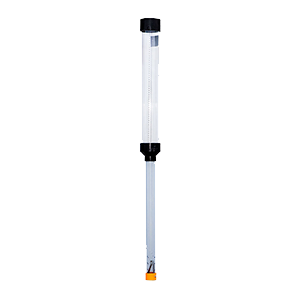 It can be used to determine the field saturated hydraulic conductivity (Kfs) or the T time or percolation time (perc time) of soil or other porous media. The table below contrasts the ETC Simplified Falling Head Permeameter and the ETC Pask Permeameter on 10 different points of comparison. Please feel free to contact us if you have any questions! Used to determine Permeability (K) of imported sand fill material on disturbed soil samples Field saturated hydraulic conductivity(Kfs) of in situ soil, also prepared fill materials and constructed soil liners. Typical soil types: USDA/CSSC: Clean sand, loamy sand. Kit components Falling head permeameter, plastic test container, (2) discs of nylon screen, thermometer, impact block, user guide, quick reference tables. user guide, quick reference field calculation tables.